Indiana outscored both Michigan and Ohio State to capture its 25th Big Ten Championship, but it was its first conference title in more than a decade. 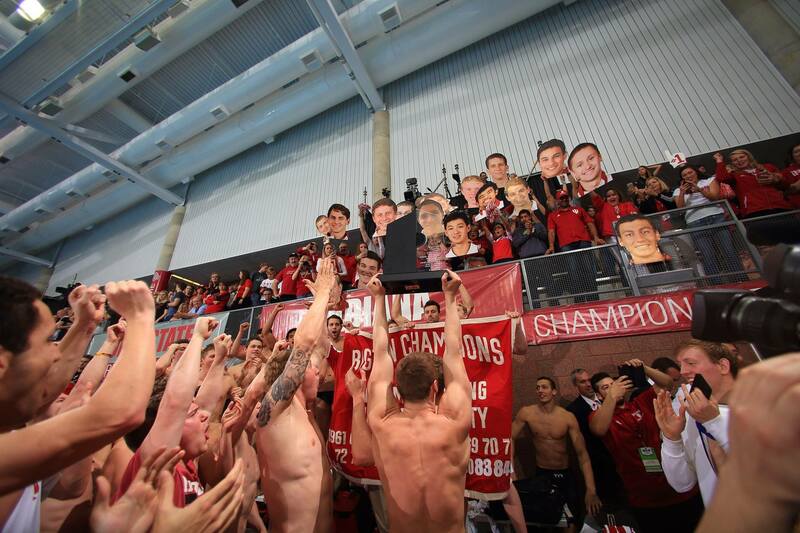 The four-day meet saw 9 B1G conference records fall, and an exciting finish for the team title. The top three teams (Indiana, Ohio State, Michigan) finished within 122 points of one another, and Ohio State and Michigan finished in a two-way tie for the runner-up position. 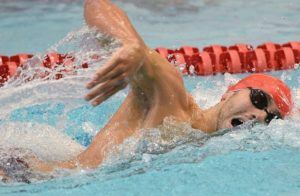 Indiana’s Vini Lanza was named the Swimmer of the Championships, after finishing with four event titles and one runner-up finish. 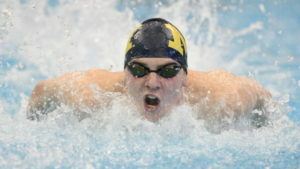 He won the 200 IM and 200 fly, and swam on the Hoosiers’ winning 200 medley and 400 medley relays. Lanza also claimed second in the 100 fly. He’s just the fifth swimmer in Indiana program history to receive the award. The final standings, event winners, and First Team and Second Team All-Big selections are outlined below. I’m going to assume the 500fr winner went 4:10.63 instead of 6:10.63? Otherwise Men’s B1G is seriously lacking in distance swimmers? Is it true that McCorkle Pavilion is Indiana’s house?? No, I don’t believe so. It is on Ohio State’s campus so it would be Ohio State’s house. I heard that OSU couldn’t handle the siege from King Ray and the boys. Columbus, OH is now called “Bloomington 2”. No and I believe the guy who was confused with that was max Irwin, someone who was pretty irrelevant in the meet with his highest place being 7th. Well you clearly do not know Max Irwin at all and if you did you would know that he is an integral part of an Indiana that just happened to win this past weekend. Scoreboard. Michigan is going to petition OSU never host B1Gs again. The last time they lost B1Gs were also at OSU.